Last December I wrote about my problems in finding the right bag. When you travel as much as I do, your bag/suitcase/backpack is a vital piece of equipment. After six years of traveling around the world, I still hadn’t found a bag I was satisfied with. I tried backpacks, duffle bags, rolling duffle bags, suitcases and combinations thereof. I wasn’t happy. Some bags were too heavy. Some were painful to carry. Some just fell apart because they were designed poorly. Last December I decided that I was going to take a stab at solving this problem once and for all. I’d owned enough failed bags to know what I didn’t want. I just needed to find a bag that avoided all those bad things. I eventually settled on the Eagle Creek Gear Warrior. Quality construction. The cloth has been scuffed, which is to be expected for any bag which is thrown about by airport baggage handlers. However, there hasn’t been so much as a single loose thread on the bag. The wheels have been dragged several kilometers across cobblestone and are still in good shape. The zippers are very heavy and have never caught on anything, gotten stuck or broken. The only minor complaint I have is that the handle seems to be a bit loose and there was one screw that was coming loose, but I managed to tighten on my own. Soft sided with support. The bag I was using prior to this one was a duffle bag with wheels. The problem with it was it would flop and collapse if it wasn’t totally full. When I would pull it with its wheels, the bottom would slump to the ground and drag. This bag has support on the bottom and sides to prevent it from flopping about if it isn’t totally full. No unnecessary pouches or straps. One problem I always have with bags is that they have extra side pockets and straps that do nothing but get in the way. The Gear Warrior has two compression straps on the outside, and that’s it. There is an elastic cord that lets you attach items to the exterior of the bag, but that easily tucks away and if you don’t use it you never have to see it. This means that the odds of the bag getting caught on a conveyor bet or a car door is much less. There is a single pouch on the front flap that doesn’t get in the way. Unique design. This is a tiny thing, but its a thing nonetheless. When my bag comes off a conveyor belt at an airport, I want to spot it right away. I also don’t want anyone else thinking it is their bag. I purchased a yellow bag. The color coupled with the design means there will almost certainly never be another bag like mine coming someone might be confused it with. It is difficult to purchase a bag online without being able to see it first. I took a gamble when I bought this, but it paid off. Given how much I travel, I assume that any bag I use will probably need to get replaced within a year. Given the current condition of my Gear Warrior, I could easily see it lasting through 2014 as well. Not a bad deal for the thing that holds all my stuff in the world. I use 2 bags on a regular basis. My primary bag, which I’ve detailed above, and my computer/camera bag. My primary bag gets checked at the airport and my camera bag is carried on the plane with me. It is also my primary day pack when I’m out exploring a place. My camera bag takes more abuse than my main bag does because I use it every day. Like my main bag, I’ve been through multiple camera bags over the years. I’ve had full blown professional camera bags, shoulder bags, and messenger bags. Most of the last year I was using a Lowepro camera bag. It was actually a fine bag, but like other camera bags I’ve had, there was way too much padding on it. It would only fit in the overhead bin on a place if I smashed the padding together and squeezed it in. It was big and bulky. If I was traveling to photo shoots in a car, it would probably be the bag I would use all the time. Having gotten sick of carrying the bulky bag around, I decided to try Timbuk2 Sleuth bag I had sitting at my mom’s house. 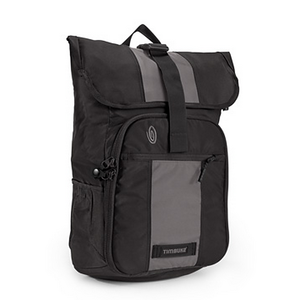 I had visited the Timbuk2 headquarters in the Mission District in San Francisco a few years ago and they sent me the bag to test, but I never used it because I felt it was too small. I eventually decided that smaller might be better, so I set out in January with less gear and a smaller camera bag. The decision to use a lighter bag was a good one, but I wasn’t quite happy with the Sleuth. For starters, it was just a bit too small. It fit everything, barely. Second, the main compartment at the top had a zipper. The stitching that held the zipper to the bag eventually came apart which left my bag open to the world. 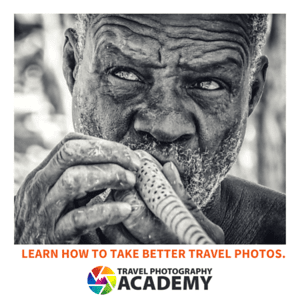 This was a huge problem for me during my photography tour in Italy last May. I vowed I was going to get a new bag during my week long break between TBEX in Toronto and the start of my Caribbean trip. A Timbuk2 camera bag!! He has recently purchased one based on a recommendation from Techcrunch but he found it to be too big, so he figured he’d give it to me because he knew I was a photographer. I was sitting on a broken bag that I found too small, from the exact same manufacturer. He has no idea I was looking for a new camera bag, let alone that I was using a bag from the same company. The bag he brought me was the Timbuk2 Espionage. Not so bulky. The compartment for the camera has padding, but that’s it. It protects my camera gear as well as the larger Lowepro I used to use, but it is easier to carry around. It easily fits in the overhead bins of even small regional planes. I never had a problem carrying it on board the propeller planes I had to fly in the Caribbean. There is no zipper for the main enclosure. At first, I thought this might be a problem. Almost every backpack is enclosed by a zipper. The top of this bag is closed by a flap which means the amount of room in the main compartment is variable. I can shorten or expand the flap depending on how much I carry. Also, I don’t have to worry about the zipper breaking like it did on my previous bag. Perfectly sized. I only carry one camera body and 3 lenses with me. I don’t need a bag which has slots for 10 lenses and two bodies. My camera gear fits in the camera area and my other electronics fit in the rest of the bag. It is sort of like the Goldilocks bag in that it is just the right size. For the first time, I’m pretty satisfied with my packing situation. Both bags I’m currently using get the job done and don’t have any major flaws. While I’m always willing to upgrade to something better, I’m not actively looking to upgrade at the moment. I had a really big bag but it was soooo heavy that I hardly lifted it empty. I changed it with one form North face. It was a great decision. This one from North face is big enough and I can gather a lot of clothes in it. Thank you for sharing this article! Best regards! Great article Gary – Are you still using the Warrior ? Any updates on better options? Great review then I got to the comments and they made me smile, the reason being is it felt like I found my tribe! For years I have been obsessed with finding the perfect luggage system to the point that my friends often tease me about it and I can feel my blog followers roll their eyes when I buy yet another bag. I do believe I have found my perfect carry-on ( http://travellingcrone.com/2014/11/27/introducing-my-perfect-carry-on/ ). Now I am working on my checked-bag so thank you for this review! I still have yet to find my PERFECT traveling bag. It really is a difficult quest. Looks like I need to take a look North Face and Osprey as I’m in need of a bag now. Thanks Gary. I have been looking for a perfect bag after my one year trip in Southeast Asia in this year. 32? 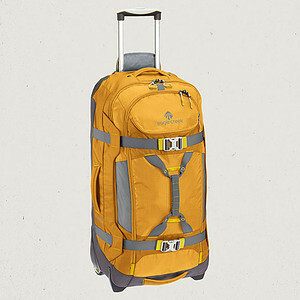 Gear Warrior is a good choice and I will use this one for my trip in Europe in next year. I honestly think one of the hardest aspects of traveling is choosing a backpack. I have tried so many packs and am still waiting to find the right one. The North Face bags have the most comfortable harnesses on them for me but they seem to make the bags smaller than they are marked, i.e the 45L I have only holds around 35L. Glad you found something that has worked for you! Thank you, very useful information found here ! We used the Osprey and osprey backpacks on our RTW trip. Everything we really needed. Often left the rolling duffles in the larger cities while we small planed or trained around with the packs and came back for them. They were great. It was the compression bags and eagle creek packing cubes that kept them organized though. Still use them for everything since we have been home. Good to know that you have finally found the bag you need. As for me, I still have to keep looking. Thanks for this review. I will keep this in mind. Thank you so much for awesome post. We are from NY. We were searching for upcoming tour to Asia. Thank you for sharing. I’ve been having trouble finding the perfect backpack, and just gave up trying to find something flawless and managed to find something on sale that was still excellent. My long-term plan is simply to complain in public setting until some manufacturer caves in to my demands. It’ll happen any day now, I’m sure. Thanks Gary, We spent hours looking for the perfect bag, we are from Costa Rica and in the rainy season omg you need to have 100% waterproof gear. Thanks for the info. My primary criterion is weight. 3.8 kilos seems like a lot (although I’ve had heavier.) In the process of ditching my LowePro camera bag–same as the one you had, I think. It’s a beast. I won an Eagle Creek backpack via a donation to Passports With Purpose. I agree with your assessment of Eagle Creek. My Digi Hauler backpack from Eagle Creek is well designed, has convenient pockets, is lightweight, and is comfortable. Although not cheap by any means (retail $120), I would say this is a great long term purchase, we’ll worth the money for the occasional to serious traveler. I was just looking for a new backpack after 10 years with my current one. Good to know you like the Timbuk2 bags, since I was really interested in them. I agree with you that finding the perfect bag is difficult. I have always been a fan of Eagle Creek products and have been considering the 22′ version of that bag. Thank you Gary for posting this. I’m about to hit the road again and was searching for a bag that I could check. 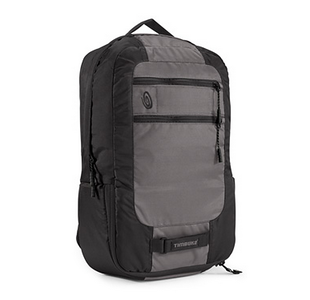 I now use new MindShift rotation180° as my day-pack/carry-on/camera bag. It’s awesome but I was searching for a solution for my checked bag on my upcoming extended trip to Southeast Asia. This seems to be the ticket. Thanks for the review.